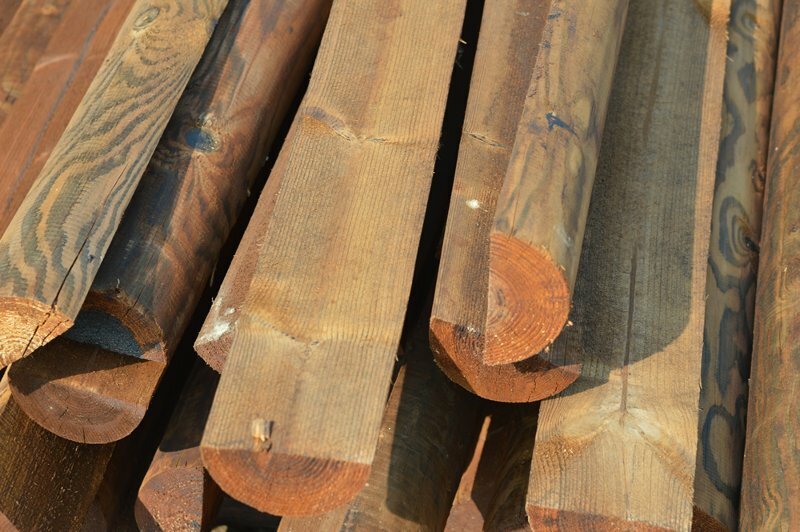 There are basically three types of timber fence post: Round, half-round and square. H.J.Webb & Son supplies the home, farm & equestrian industry with many sizes & lengths. 75mm – 100mm round posts can either be used with wire or for post & rail. If used for post & rail the bigger posts need to be selected where the rails join, or, if your budget allows, it is better to purchase the 100mm – 125mm diameter posts. We would like to point out and be honest that due to forced changes in the type of treatment allowed these days, the whole industry is getting reports that the round and half round stakes are not lasting more than 4 years in some cases. The alternative is to use pressure creosoted stakes or UC4 / HC4 stakes, where the timber has been kiln dried before treatment. It is also thought that stakes made from pine or larch (Redwood) will last 15 years or so. On June 30th 2004 the old type of treatment (CCA) was banned by the EU. In their view, this was because of its effect as a toxin, a carcinogen and a teratogen. Two alternative treatments used today are called Tanalith E and Osmose Naturewood and it certainly looks as though it is not as effective as the old CCA when used on timber in ground contact. Half-round stakes usually come in more limited lengths than round. These generally come in 1.65M or 1.8M lengths but, as with the round ones, we can get any length needed due to our close relationship with several mills both in the UK & abroad. As regards the machined (Planed) stakes and poles, these are more often than not used for a nice finish & appearance. They can tend to split a little more than the rustic / cundy type in periods of hotter weather but do tend to close back up when the cooler, moist conditions come.